Following Meb Keflezighi’s improbable, highly charged win at the 118th Boston Marathon, could a renewed interest in the sport of distance running be about to take wing? There was as similar spark after Meb and Deena Kastor won Olympic Marathon medals in Athens 2004, and following Meb’s win at the New York City Marathon 2009. 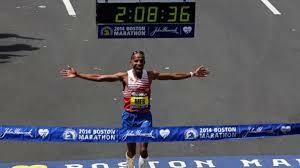 But with all the emotional weight carried into Boston 2014 by the horrors of 2013’s bombings, Meb’s win on Patriot’s Day generated even more electricity than had he simply been the first American man to win Boston in 31 years. With Meb’s shining visage showing up in newspapers worldwide, then his appearances all around the country in the aftermath, the sport has a true red-white-and-blue hero to celebrate and for kids to emulate. Even Shalane Flanagan‘s brave front-running seventh-place finish at Boston showcased the kind of spirit that seeds interest in the hearts of young ones. Funny how heroes can make a connection and stir interest. That sense of renewal in road racing as a sport may have already been in the zeitgeist, however, because I received the following e-mail Friday April 11th while I was out in Honolulu covering the 3rd annual Hapalua, Hawaii’s Half Marathon. My name is John Lofranco. I am the new Road Running Coordinator with Athletics Canada, the governing body for track and field, road running and cross country in your neighbour to the north. I have been reading your latest blog posts with much interest. I have to say I agree with a lot of what you’ve written. My role, a newly created position at AC (April 2nd), is to try to do a little bit of what you have been talking about: give road running its own portfolio within the governing body. Now, AC (and Canadian running in general) is nowhere near the behemoth of USATF, so maybe it’s not so bad that road running is a portfolio within, rather than an agency apart. In any case, it is certainly not a one-man show, as my role is to liaise with all the stakeholders in Canada, including race directors, sponsors, and branch (i.e. provincial) leaders. (As an aside, in Canada, we rely greatly on our provincial governing bodies to administer the sport). After receiving his email, I called and spoke directly with John about the state of the sport up north, and how his new position might help influence both its growth and a renewed interest in competition. 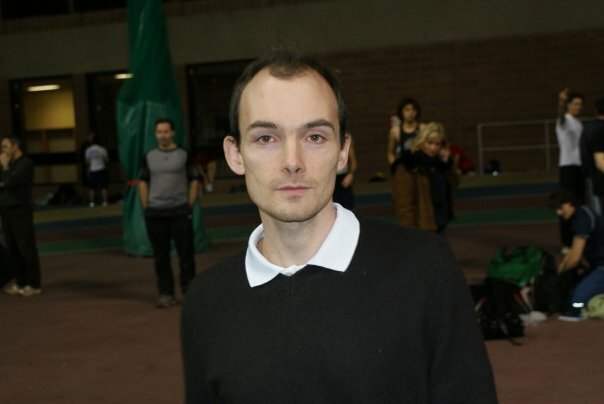 First of all, John Lofranco is 36 years old, based in Montreal and a graduate of McGill University, where he currently coaches distance runners from 800m to the marathon in the McGill Olympic Club. Via Rob Guy, AC’s Chief Executive Officer, new AC head coach Peter Eriksson, and Lofranco’s role as new Road Running Coordinator, Athletics Canada has constructed a new strategic plan specifically aimed at road racing. “What is our role?” asks Lofranco rhetorically, “to focus on the fast people only? No, the culture has been changing the last few years. The national governing body is for everyone. So the strategy is to set up a plan that includes clubs, schools, and communities in road racing as well as the top athletes. We only have about 8-10 people in Ottowa (AC offices). Others, like me, work remotely. “My job is to coordinate with the federation branches. In Canada, people become members through the (ten) provincial branches (and two territorial branches). My role is to talk to those provincial branches. Some have road coordinators, others don’t. But there are thousands of runners who run marathons, but who are not members of the federation. We want to bring them into the organization. They won’t take track memberships, but maybe there is another way like road memberships. “Now, maybe a good idea in one place, might not work somewhere else. So I’m on the phone trying to see how we can cut out a lot of the redundancy. For instance, in the Yukon they have an arrangement where you sign one waiver to enter a race, and don’t have to sign another for the rest of the year. “But once we find out what the individual needs are, we can create a system that brings all the good ideas together. I’m excited about it. What I love about road running is everybody is involved. My mom ran her first race in Toronto. I was telling her what to do, and she did it! A 60 year-old lady! And the Olympians were there, too, everyone in the same race! Already Lofranco is putting ideas in place. Among LoFranco and AC’s priorities is the National Race Directors Summit in Toronto where the hope is to bring races, the provincial branches and Athletics Canada together into a coherent vision. A New York Times study reported last week that Canada’s middle-class has moved ahead of the vaunted USA middle-class as the wealthiest in the world. Seems like Athletics Canada is making more inroads up north, as well. Great News and a move in the right direction. Always wondered why we here in Canada don’t also take a page out of the RRCA’s book. Thanks Toni. 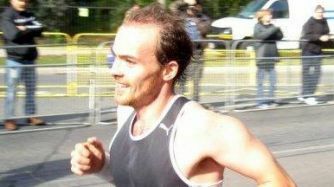 Just a one point to clarify: the East vs West at TYS10k was all Alan Brooks and the Canada Running Series crew. When I said “we” I meant “we, in Canada, have this new kind of event.” Alan is one of our greatest assets, really pushing the boundaries of what can be done with road racing. Thanks for the correction, John. Will make it more clear in the text. Good luck with all the new projects. Hope others take notice. Love this: “We want the back of the pack to appreciate how fast those up front are going, and have the top-end appreciate how this wave behind is driving them forward.” Yes! Exactly! Yin and yang. As an American married to a Canadian, I race in Canada at least once a year. I ran the Scotiabank Toronto Waterfront Marathon in 2013. 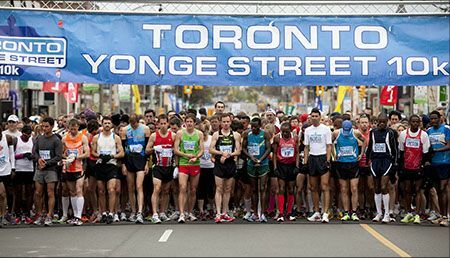 STWM is a top-notch race that more people should be running. Glad to see AC is working to give road running a spotlight. Use your platform at NYRR to salute the AC effort. This is the model USATF should adopt (it goes without saying). Thanks for chiming in.